We all know about how the Puritans landed at Plymouth Rock, back in 1620, kicking off not only the English settlement of New England, but also our Thanksgiving holiday. 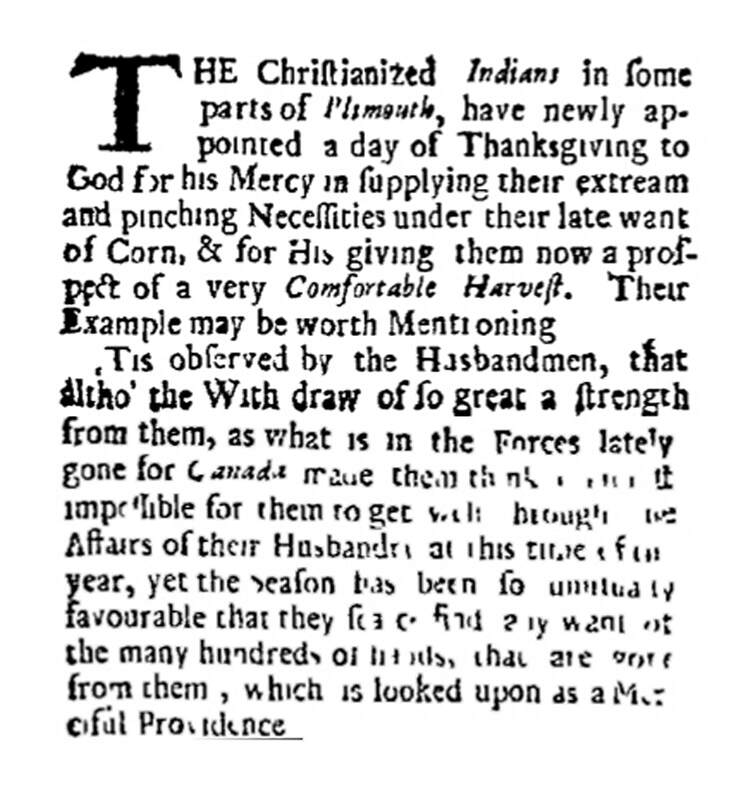 Above is the very first mention of Thanksgiving that appeared in a newspaper back then. What has remained somewhat hidden for all this time is that it was these Puritans who complained about Catholics still living north of them in Acadia, or what would become Nova Scotia, that resulted in the name and Coat of Arms for Nova Scotia, beginning in 1621, and perhaps even the whole Money Pit mystery on Oak Island. As many of you may know, I have been working for a year with the owners and researchers of Oak Island, and the Curse of Oak Island TV show. I’ve written two book – Oak Island Missing Links, on Amazon and elsewhere, and Oak Island 1632, which is just about to be released. The King of England, at the time, was King James I, who was also King James VI of Scotland. He was the son of the famous Mary, Queen of Scots. When Queen Elizabeth of England died without any children, James took the throne as the only rightful heir. For the first time, the people of Ireland, Scotland and England were relatively satisfied to have one monarch. He was “Celtic” in nature if not in blood, and yet he was the true King, so there wasn’t much for anyone to argue about. It was King James who sent the Puritans off to New England, and he was worried that if he did not answer their concerns, he would have trouble getting more settlers to take a chance on the New World. In steps Sir William Alexander, Privy Council member, Secretary of State of Scotland, and long-time friend of King James. Alexander was a Scot, and so James asked if he thought he could get some Scots together to chase out the few remaining French Catholics in Acadia, at a place called Port Royal. Alexander replied that, since there was a New England, a New France, and a New Spain, maybe there should be a New Scotland (Nova Scotia in Latin). The King agreed and gave dominion over Acadia/Nova Scotia to Alexander. From 1621 through 1629, Alexander worked to get a group of Scottish settlers imbedded at Port Royal, absorbing the local French, who had been deserted by France. Even the French governor of Acadia allied himself with the Scots. However, King James passed away during this period and his son Charles I took over. Charles was the brother-in-law of the King of France, who still owed him half of the dowry that was to accompany his marriage to the French princess. They signed a treaty in which Acadia was given back to the French. On March 29, 1632, the Scots were ordered to leave within 29 days. It was to be a peaceful evacuation, and they were even allowed to take their weapons and their gold and silver with them. The only problem is that the North Atlantic would have been too rough to sail then. I looked at several weather records to determine that they potentially faced 15-foot waves, 25-35 knot winds, dense fog and freezing spray, the latter which would have iced up and sunk their ships. The best place to take refuge was in Mahone Bay, where Oak Island is located, and the best island to anchor ships at was Oak Island, because of the depth of the water near its shores, it being one of the furtherest back islands in the bay, and because it had a nice little cove to pull into. 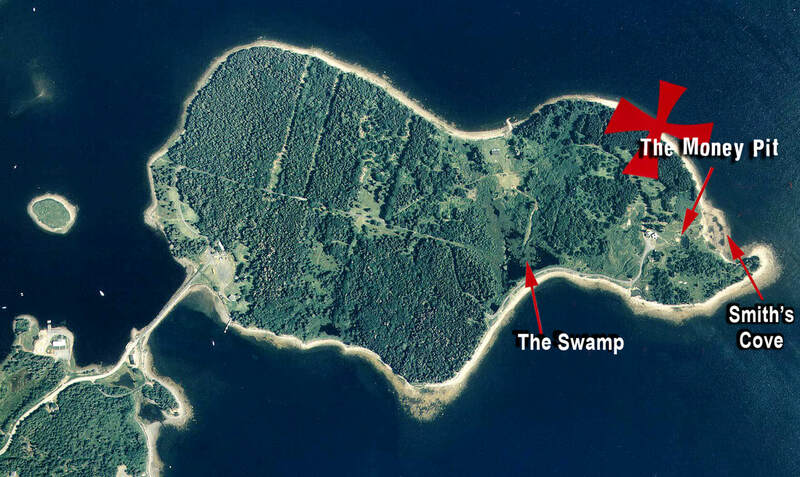 That cove is now what they call the swamp, due to a man-made coffer dam. A carbon dating window I discovered, based on records for many pieces of finished lumber found in the swamp or in the Money Pit dig, extends from 1620 to 1660. It is my belief that these Scots buried either what they needed to, after one of their ships sunk in the cove, or what they wanted to, to prevent people back home from finding out about it. There are many items they coul dhave taken to Nova Scotia in four ships that had a letter of safe passage, which stated no one could mess with them, in a lot fancier terms. The details are very interesting, but too much to tell here (344 pages total over two books). Anyway, I was filmed in what they call the “war room,” in June of this year, although I have no idea if I will actually be on the Curse of Oak Island TV show. Meanwhile, every week, and sometimes several days in a row, I continue to get research questions and answer them for the folks at Oak Island. We have stayed in constant touch and continue to uncover amazing history together. As soon as my second book is available, I will let you know. Meanwhile, the first book, Oak Island Missing Links, is there waiting to be read.